Catching up over a cup of coffee is really an internationally celebrated ritual. It’s simple, inexpensive and it’s something I do with The Hubby every morning. It’s my favourite part of the day. Whether you love a latte, a long black or a cold drip coffee, there’s never been a better time to truly gain an appreciation for your morning heart starter than right now. Welcome to the Third Wave. If you’re a coffee purist you’ll no doubt have been riding the ‘Third Wave’, with gusto for a while. If you’ve got no idea what I’m going on about, let me explain; The ‘First Wave’ was all about getting a good, quick cup of coffee. It was followed by the ‘Second Wave’, when we saw the explosion of coffee franchises around the world, the likes of Starbucks. Coffee orders went from black or white with one, to a paragraph long concoction served in grande cup. The Third Wave began in the US back in 2002, but it’s really taking hold in the mainstream now. The movement is about dialling back to the true flavour of coffee with a carefully considered process of brewing the perfect cup. It’s all about specialty coffee, bringing out the honest character of the beans and creating a cleaner, well-rounded flavour. It’s less about grab-n-go and more about appreciating the aromatic notes, like a good glass of wine. What does this mean for your morning fix? Well if your local cafe is riding the wave, you’ll find more specialty blends on offer, coffee art on your cappuccino and a number of different pouring methods on the menu. The set up for pour over or filter coffee resembles something out of a science lab. There’s the filter cone, paper, cup and kettle. The pour over process takes a number of steps to maintain the integrity of the beans and generally treating the coffee with care. It takes a couple of minutes to pour; the coffee needs to be soaked. It rests for a minute or so, then the water is poured gently over (and yes, there’s a specific technique for that too). So it’s not the one to order if you’re on the run, but it’s a great example of the sensory Third Wave experience, so if you’ve got the time, give it a go. Throw out your plunger, the way of the future is the Aeropress . Well hang on, you may just want to go out for one – it’s a complete sensory experience. It makes sense then that we went to The Sensory Lab in Bondi Beach where the very generous Felipe gave me a demonstration of the Aeropress method and it was fascinating! You can see above the cafe is true to its name. For the Aeropress, you need scales, filters, a jug, really good quality coffee..the list goes on. As Felipe explained, both the formula and the timing are important in an Aeropress pour. At the Sensory Lab they use 12g of coffee and 200ml of water. The coffee doesn’t have to be as coarse as an old-school plunger (french press), which you’ll notice when tasting the finished product (it smoother and cleaner). Two important steps in the process are when the water is poured on to the coffee, sparking what’s called the bloom. 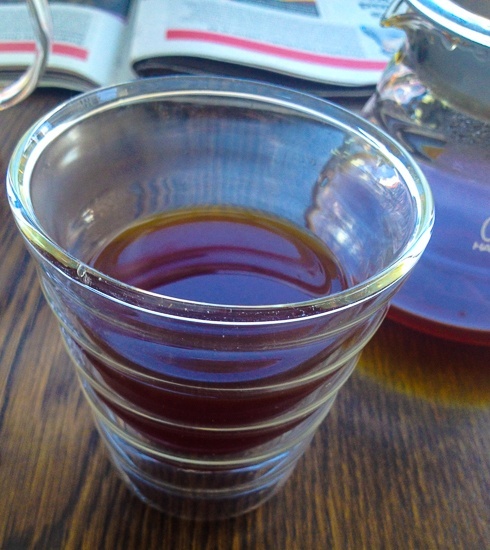 There’s a wait for about 45 seconds, the coffee is then stirred gently, the filter is placed on top and the press is inverted and pressed into the glass (that was a very quick way of explaining a much more involved method, so if you are interested in trying it at home, please do your research!). The result is a very clean, flavoursome coffee and the tasting experience was reminiscent of a wine tasting. You can really tastes all the different flavours in the beans. We tried a Nicaragua grind with hints of caramel and a Panama, Geisha blend which had a slight jasmine tea feel. The whole experience really expresses the science of coffee. It doesn’t have to be a teaspoon of instant and a quick pour from the kettle, unless of course that’s the way you like it. A shot of cold drip coffee is the latest in my arsenal of clean cooking ingredients. Why do I love it? It’s clean, it’s less acidic and bitter, and a really easy way of getting a caffeine kick without the spike and drop. Cold drip coffee is true to the artisanal nature of the Third Wave movement. Let’s be honest, it’s a lengthy process akin to creating a beautiful artwork. Cold drip is a great option for raw foodies. It’s not so much ‘brewed’ on heat, rather washed over the beans. Cold, filtered water is dripped through a lightly roasted coffee for 10 hours or more. You can expect a strong coffee with a subtle, sweet flavour. 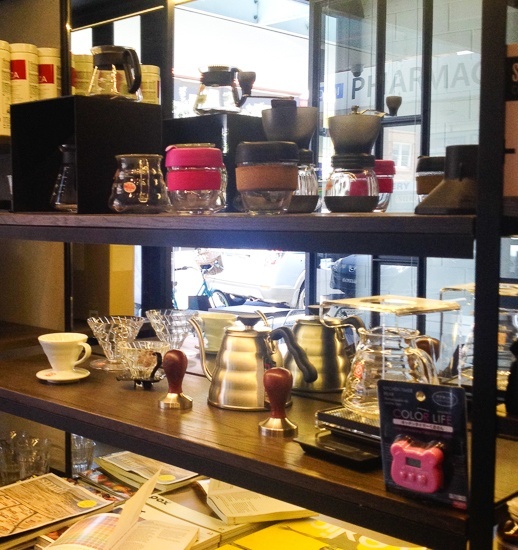 You will find cafes in the more trendy areas will serve cold drip. 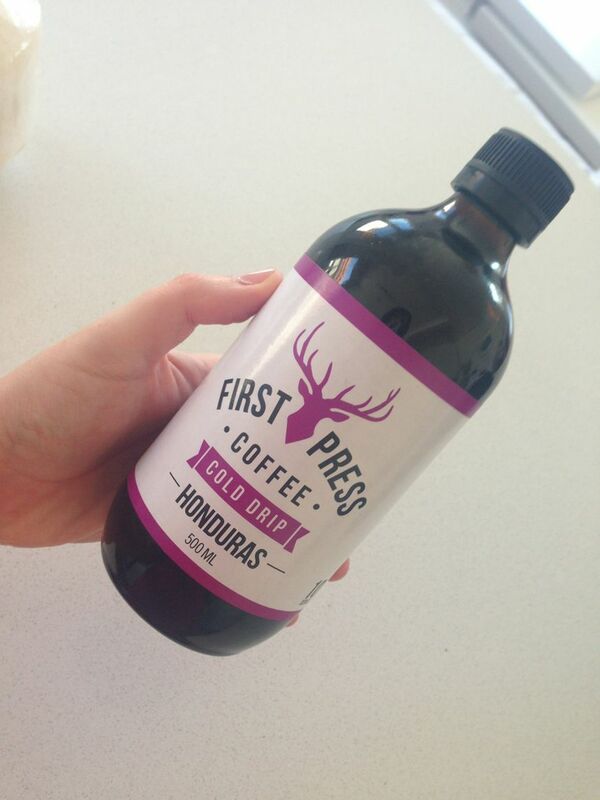 I grabbed a bottle of First Press to use at home (it lasts for about 2 weeks once opened). I take it straight up, in a smoothie (recipe below), a raw chocolate mousse, or in a clean espresso martini. This shake has a thick consistency and a beautiful, chocolate, coffee and nutty flavour. It’s the perfect breakfast option or pre-workout smoothie before an afternoon session. Make enough for 2 shakes. If you’re following the ketogenic or Paleo protocol, then you would have heard of Bulletproof Coffee. Bulletproof Coffee is a trend sparked by Dave Asprey, founder of The Bulletproof Executive. Asprey says he consulted a range of medical and sporting experts and spent more than $300,000 on self-experimentation. As a result he dropped 45 kilos and claims to have unlocked simple techniques or “hacks” to become “better at everything”. His pursuit of being “Bulletproof” is the premise of his business; improving body and mind to reach a state of high performance, without burning out. Read more about his story here. A Bulletproof pour uses filtered water, specific “Upgraded” coffee (Asprey sells it), MCT oil * (medium-chain triglycerides) oil, and a couple of tablespoons of grass fed butter. Asprey prescribes it as a breakfast substitute, saying it keeps him energised for up to 6 hours and sets his body up to burn fat for the rest of the day. That’s where the Bulletproof craze has copped a bit of criticism. As a meal replacement, it perhaps isn’t as nutrient-dense as it should be. It also contains the same amount of fat as 12 egg yolks and 400 calories more than a normal latte. If you’re successfully maintaining a strict ketogenic diet, this may work for you, but the regular person might have to adjust their saturated fat intake for the rest of the day (would you give up your avocado at lunch?). The best way to know whether Bulletproof Coffee is your ticket to a leaner figure and a more energised, efficient morning is simply to try it. If you’re a generally healthy person with a balanced diet, without cholesterol concerns, give it a go. Every body and everybody is different. Someone’s latte is another person’s long black, after all.